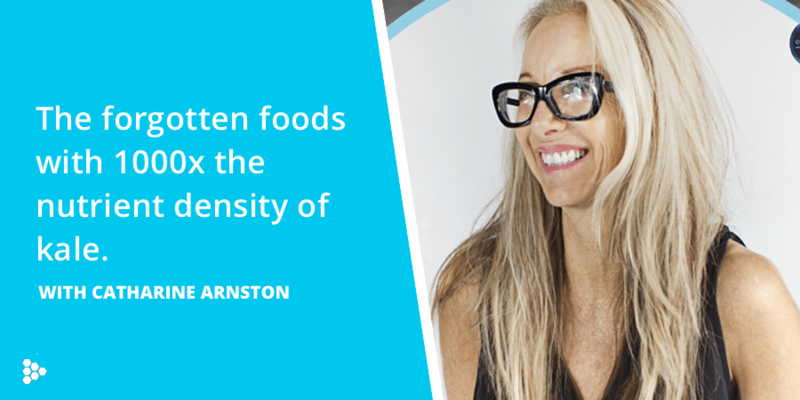 In this episode, we chat with Catharine Arnston, CEO of EnergyBits, about forgotten foods sources that are known to contain a thousand times the nutrient density of kale. It’s a 3-part series we recorded about these food groups, and it is brought to you by us. Beyond Macros. Spirulina is an example of these forgotten foods and in powder form, it is incredibly high in protein and a great source of omega-3, antioxidants, and other nutrients, and when harvested the right way, it is one of the most nutrient dense food on the planet. Listen to our chat with Catharine, as she goes into detail about what these food sources are, why they are important to us, the nutritional benefits of them and much more. [01:31] Catharine tells us more about today’s episode. [01:54] She talks about what spirulina is. [02:11] Why it’s important to us. [02:55] Why spirulina is important today. [03:24] A less invisible benefit of algae to humans. [03:39] How it’s a high quality, environmental friendly protein source. [04:47] Another fat in Algae that’s worth highlighting. [05:53] How spirulina is the most nutrient dense food we know of on the planet. [07:18] How EnergyBits cracks their chlorella. [07:43] The benefits of their cracking process. [08:11] Catharine defines what toxins mean to her and how the algae act with it in our bodies. [09:36] Another special property of chlorella. [10:17] How chlorophyll works in the human body. [11:51] Some enjoyable ways to add algae to your food. [14:09] How algae are prone to contamination.